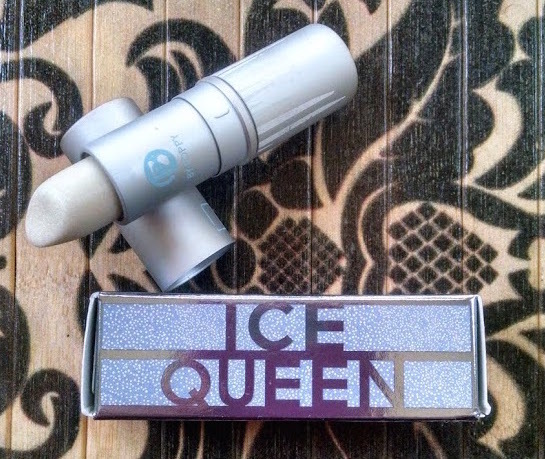 The temperatures have dropped below freezing here in New York again, so it’s the perfect time for me to write a more in-depth post about Lipstick Queen’s Ice Queen. I did preview it back in November—see here! 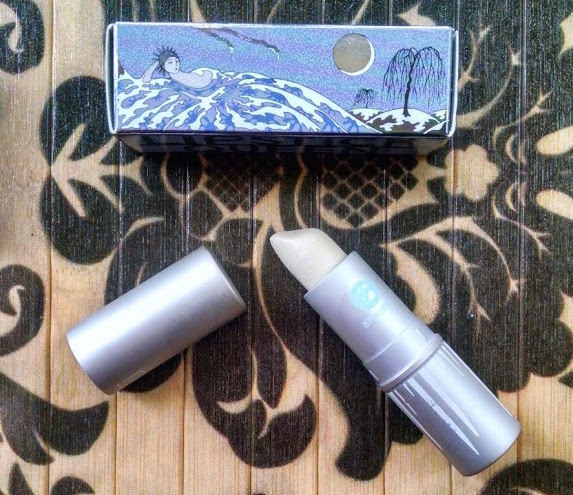 Ice Queen is a “sheer snowy white” lipstick with “silver and gold shimmer particles.” Lipstick Queen recommends it as an illuminating topcoat as well as a standalone product. Its ingredients include various nourishing oils (meadowfoam seed, olive, sunflower seed) and waxes (beeswax, candelilla, shea), plus vitamin E for moisture. So, what do I think of Ice Queen? I’ve tried it both ways. I’ve worn it alone, as a swipe of cool, translucent shimmer. One coat is best; if I try to layer it, the result is a little too frosted. We’re going for “ethereal” here, not “1980s”! Applied lightly to bare lips, Ice Queen is flattering to my light, neutral-toned complexion. I think it would also look amazing on darker skintones. I tried photographing Ice Queen on my wrist, but my camera couldn’t capture its subtle effect against my skin. I’m sorry! You’ll just have to take my word for it. I experimented with Ice Queen as a topcoat over several lipstick shades—again, photos just didn’t come out well, but I really did enjoy using it this way. I wore it over Hello Sailor (a sheer, cool-toned blackberry), and this combination was sort of magical-looking. I also tried it over Saint Rose, and it gave this medium, neutral pink a soft shimmer finish. It also added dimension to darker colors like my old favorite L’Oreal Blushing Berry and Face Stockholm Wineberry Veil. Basically, Ice Queen will give any creme, satin, or matte lipstick to a shimmer finish. Again, one coat is best—if you apply too heavily, it turns a bit obvious and clumpy. Lipstick Queen Ice Queen is available through the Lipstick Queen website, Space NK, and B-glowing. Product source: I received this product as a press sample. Images: top photo via Lipstick Queen website; other product photos by Tinsel Creation; Erte image, here.